Three Republican members of the Anne Arundel County Council are facing term-limits this year. In District 2, our longtime friend Tom Gardner is unopposed. However, voters in Districts 3 and 7 will have a choice to make. It is important to make sure that voters in those districts have an opportunity to vote for a strong conservative candidate who is willing to support conservative principles on the County Council. Over the last few years, Anne Arundel County has continued to make great strides. We continue to see a county that is spending within its means, keeping taxes low and is governing responsibility. However one of the hallmarks of the last few years has been a council that is often more divided than a 4-3 Republican majority should be. The last four years have seen bouts of infighting, of antics, and of siding with the Democrats at inopportune times. Over the course of the next four years, Anne Arundel County will need to have a county council that is true to the priorities of the Republican and conservative majority of the county. A county council that consists of a 4-3 Republican majority that governs like conservatives and governs like Republicans without the personality conflicts inherent over the course of the last four years. Voters in District 3 and District 7 have choices that will allow them to elect two solid conservatives to these seats. In District 3, Nathan Volke is a lawyer, a former Chairman of the Anne Arundel Central Committee, and somebody who is connected to his community. His priorities are simple: Protect the character of our community through effective representation of the values of the citizens of District 3. Support initiatives that would restore traditional values to our government practices and way of life, including lowering taxes and continuing to ensure effecting and right-sized government. In District 7, Jessica Haire is also a lawyer who has served both the Maryland Republican Party and Governor Larry Hogan well from Democratic overreach. She has also served the county as a member of the Anne Arundel County Commission for Women. Like Volke, she is also a strong proponent of lower taxes and limited government. Anne Arundel County must protect conservative values and limited government in this election. 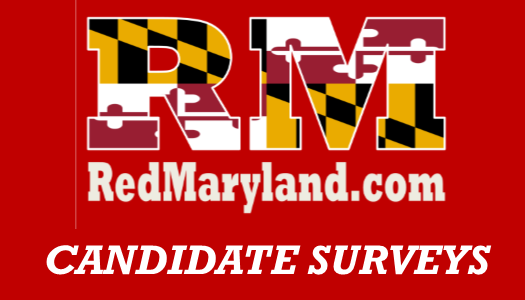 To that end, the editors of Red Maryland endorse Nathan Volke for Anne Arundel County Council in District 3 and Jessica Haire for Anne Arundel County Council in District 7.